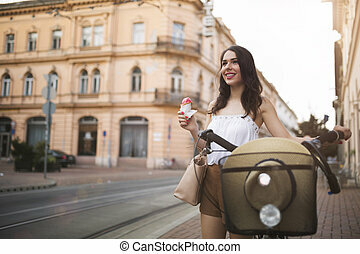 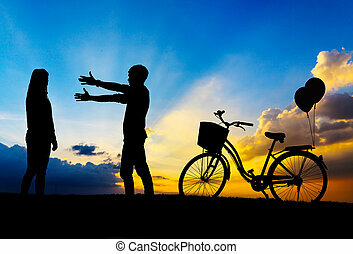 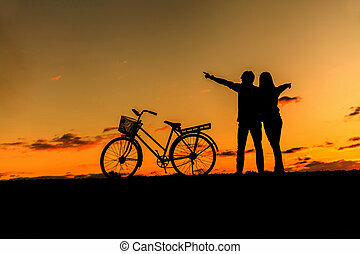 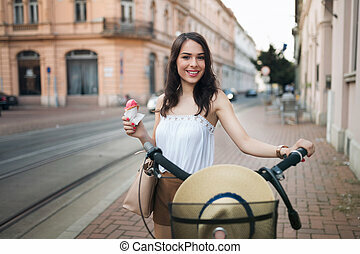 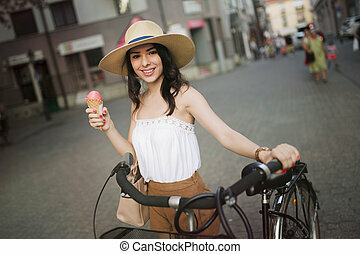 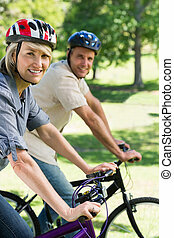 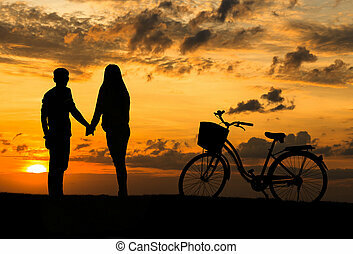 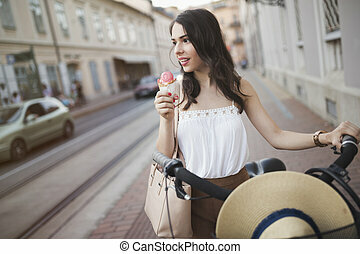 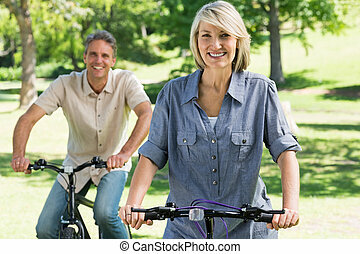 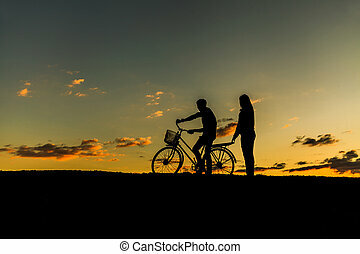 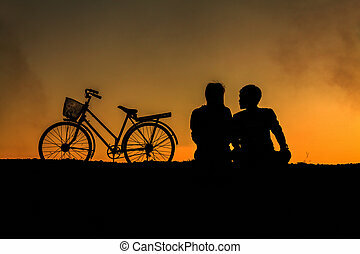 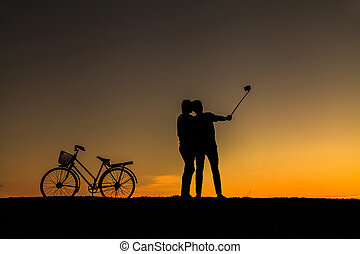 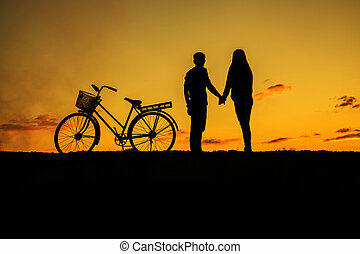 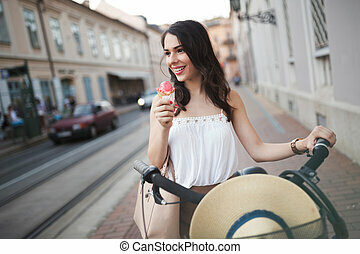 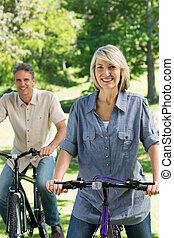 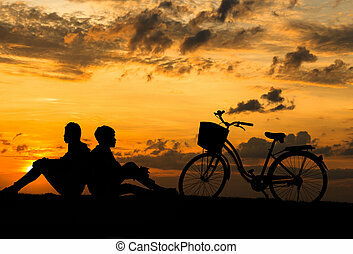 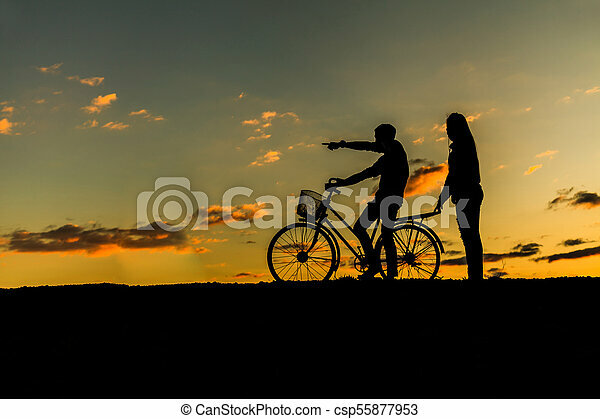 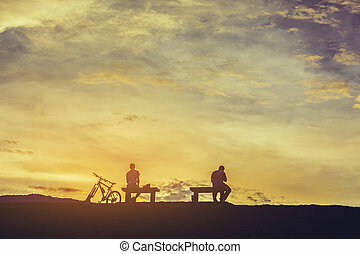 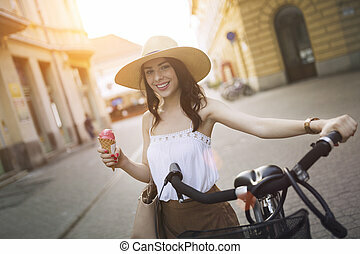 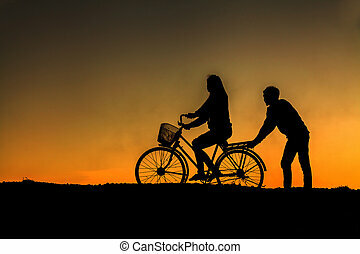 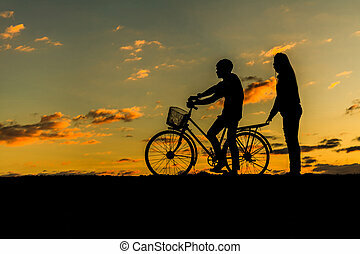 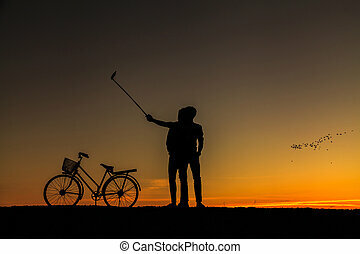 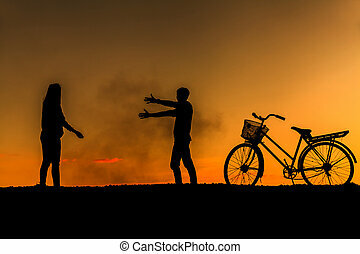 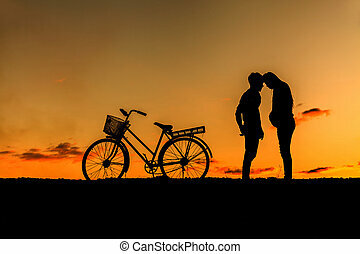 Silhouette of sweet couple in love happy time and bicycle in beautiful sunset. 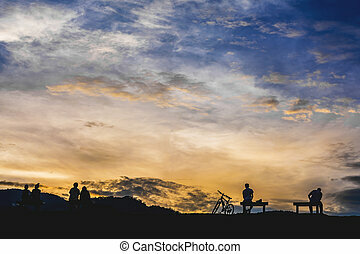 silhouette panorama image of people have outdoor activity in sunset time with beautiful blue sky for background usage. 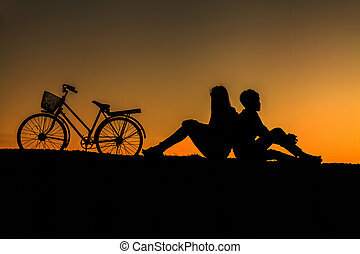 silhouette image of people have outdoor activity on sunset time with beautiful blue sky for background usage.